I recently posted images of our Nursery on my Facebook page, and decided to back track and share our journey on redoing that specific room. A little cramped, but it worked - the crock pot saved our lives! Onto prep work to spray knockdown on the ceiling and PATCHING! I swear this room had the most nicks and nail holes in the wall I'd ever seen. We must have patched over the walls 3 to 4 times. 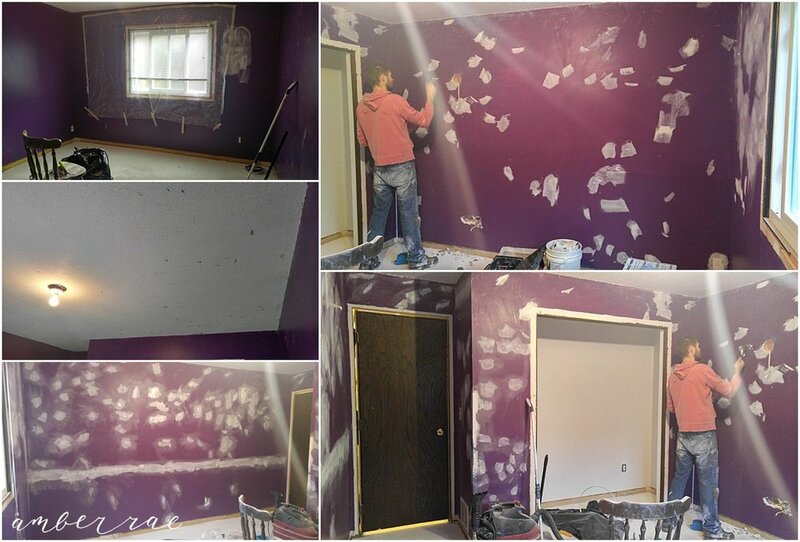 After that, the beautiful primer to cover up the hideous purple paint. 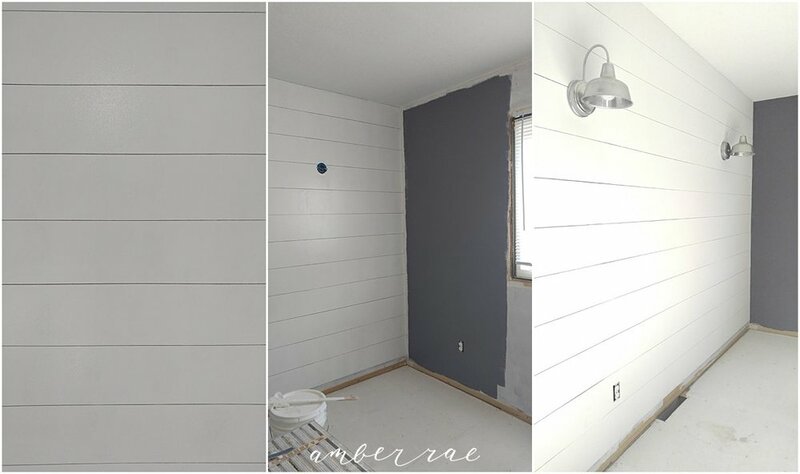 Paint planning came after, and we started on the shiplap wall. 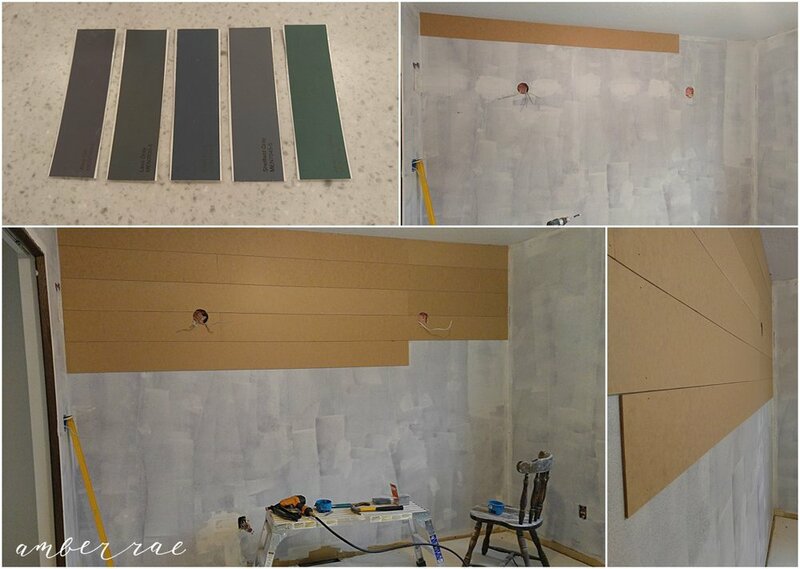 After doing some research we chose MDF board for the planks. They were thin and seemed easy enough to work with after I built a few cabinet doors in the kitchen with them. We finish nailed them up using nickels to space them out. Picked out my lights, primed and painted! Then came door trim, window trim, hallway trim (while we were at it), wood puttying, and I DIY'd the closet doors with 1/4" plywood to make them look fancy. We started on the floor for the hallway and bedroom on Christmas Eve, 2016! Time off is a wonderful thing and we weren't about to waste it. After the floor came closet shelving planning, installing and whatnot - plywood and pine boards of course! And, BAM. We had an office! It lasted quite a few months as our Office. Not this empty of course - I promise in future posts to photograph the rooms FULL of furniture in their prime haha. The desk in the photos stayed right where it is - it was the first piece of moveable furniture I built, and the first thing I ever built with drawers (fewf it was nerve-wracking!). 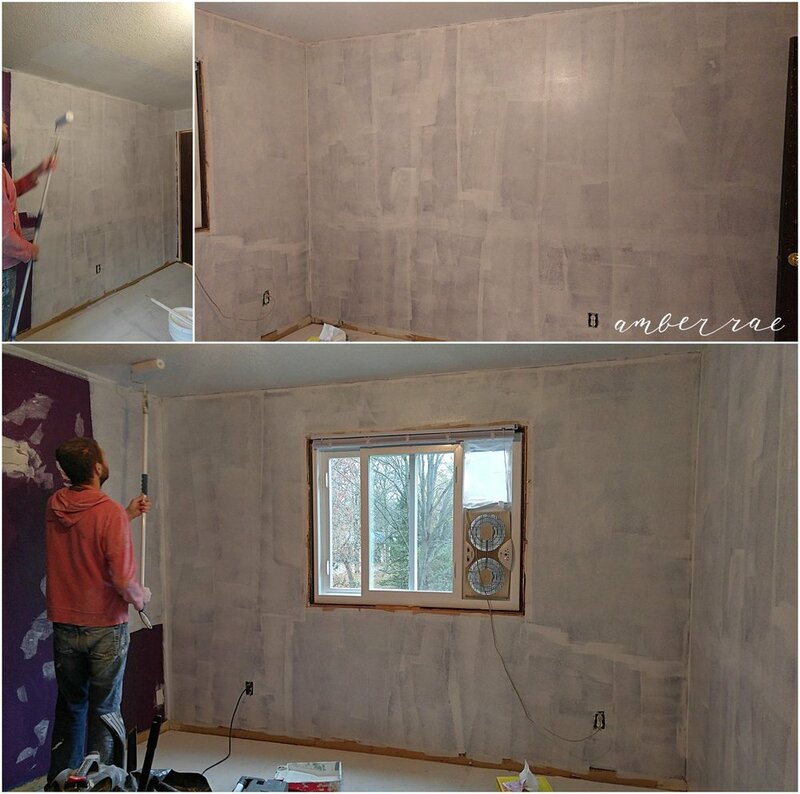 When I found out we were pregnant in April, 2o17 I begged Darin to try and get the room in the basement finished so we could turn this room into Nursery. It was spring at that time, and we had a HUGE list of things to get done outside for the year. It was a BUSY summer, but we managed to cross off almost everything on our list plus the Basement Office in late November! So here's our little babe's room! And here I sit, 40 weeks and 2 days pregnant with this little guy. In all honesty, I am tired of waiting, but I also know that God's timing is perfect. After he arrives our lives will have changed forever, so we're trying our best to soak up the quiet nights & our alone time together. As always, thanks for reading and keeping up with our journey. My next post will most likely be of our little guy, so stay tuned! !